Citing sources familiar with the matter, the Financial Times reports Apple is spending or has spent several million dollars to secure and develop each launch title, likely bringing the total outlay for Arcade to well over half a billion dollars. Apple is offering publishers extra incentives if they agree to exclusivity windows, the report said, restricting new releases to Arcade for a few months before wide distribution on rival platforms. The strategy should continue once Arcade launches, as Apple promised the platform will net new and exclusive games on a regular basis. 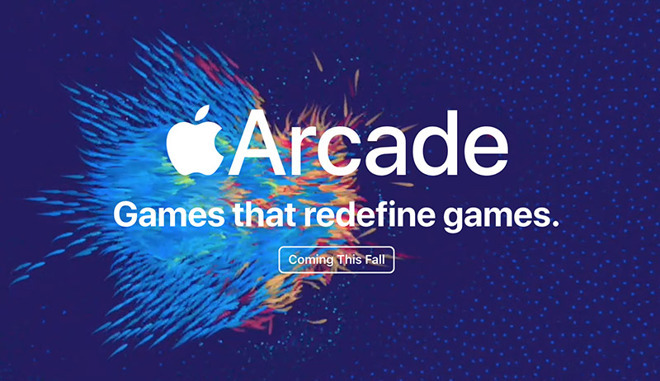 Apple announced Apple Arcade at a special event in March. When the subscription-based service is made available on iOS and macOS later this year, customers will pay a monthly fee for access to a host of premium titles developed by both well-established publishers and independent studios. Big-name brands like Cartoon Network, Disney, Konami and Sega are offering access to titles on Arcade, and up and coming studios with successful App Store track records, like ustwo and Annapurna, are taking part in the project with Apple's assistance. According to today's report, the iPhone maker is advancing to developers funds that exceed the cost of creating a typical indie game. Apple appears to be front-loading Arcade in an attempt to make a splash in the market. Gaming is a well-established industry, with iPhone responsible for a boom in mobile development and distribution, but Apple is joining a relatively recent push into subscription platforms. Google, for example, revealed the cloud-based, cross-platform streaming service Stadia last month. Similar first- and third-party subscription hubs have been available on PC and console for years. Apple's $500 million investment in Arcade stands in contrast to a reported $1 billion outlay — likely more at this point — for original TV shows and specials slated to arrive on the upcoming Apple TV+ service. Analysts at HSBC predict Apple to reap $370 million in Arcade revenue by 2020, a figure expected to grow to $2.7 billon by 2022 and $4.5 billion by 2024, the report said. The firm estimates Arcade to boast 29 million subscribers paying $12.99 per month in 2024. HSBC believes Arcade has higher earnings potential than Apple TV+, which is anticipated to generate $2.6 billion in revenue by 2022 and $4.1 billion by 2024. Apple News+, Apple's newly launched news and magazine subscription service, is predicted to bring in $1.7 billion and $2.7 billion in 2022 and 2024, respectively. Apple has not revealed pricing for either Apple Arcade or Apple TV+, both of which are due to launch this fall.